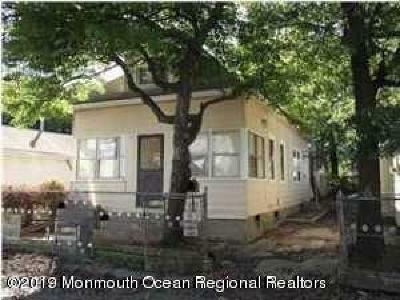 Ready to delve into real estate in the Ocean County area? You’ve come to the right place! Whether you’re looking to buy or you’re searching for homes for sale, we have the resources and skill you need to be successful. With offices in Brick and Point Pleasant, in addition to Toms River and Whiting, we are very familiar with what’s going on in the industry in all of the area neighborhoods. EXIT makes it a priority to stay up-to-date with current trends, and is committed to making your buying or selling experience as simple as possible. In order to help you plan and research, we offer convenient tools for Ocean County, NJ home buyers and sellers.We understand that you want to learn as much about the process as possible, and you probably want to know more about the company and realtor behind the website. Learn more about EXIT Realty’s real estate services and check our agents professional profiles at your leisure. SINGLE FAMILY HOMES, WATERFRONT, BEACH HOUSES & MORE! When you’re ready to begin your search and learn about real estate in the area, take advantage of our Quick Search or Map Search to see up-to-date listings 24/7. If you have a specific need, such as a single family home in a specific neighborhood or a waterfront house, please complete the Dream Home Finder form and our agents will conduct a search to find homes that fit your needs. Wondering where your home stands in the current market? We would be happy to perform a FREE Market Analysis for you and help you understand the components that go in to determining your home’s value. Don’t go blindly into your real estate search or transaction. Get assistance from the knowledgeable real estate professionals at EXIT Realty. Navigating the real estate market can be tricky. You'll want to make sure you're getting what your house is worth when dealing with home buyers. We're the right real estate agency for you. We'll help you sell your home!